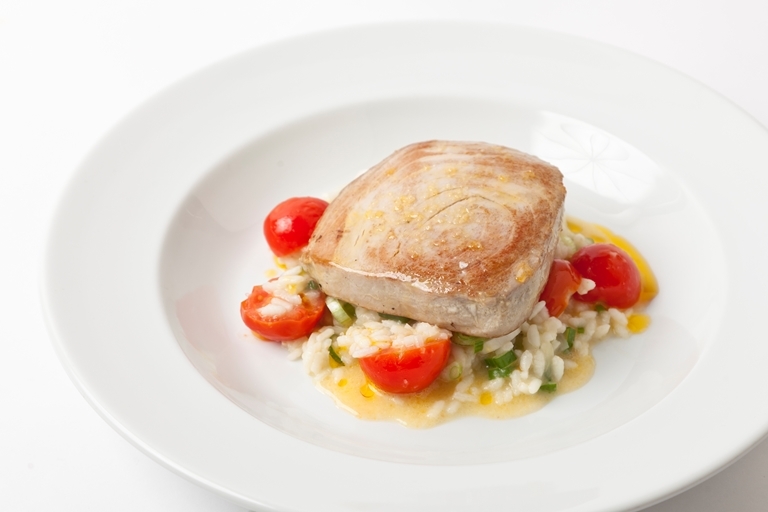 Adam Gray serves up a delicious Mediterranean-style dish, with a vibrant cherry tomato and spring onion risotto as the base for a lightly seared tuna steak. The tuna is a lovely meaty addition, but the risotto also makes a fantastic recipe on its own, which could be useful if also serving to vegetarian guests. Adam Gray pulls off classic British flavours with grace, intelligence and admirable lightness of touch.